Starbucks Brews Up 3 Limited-Time Valentine’s Day Inspired Beverages. 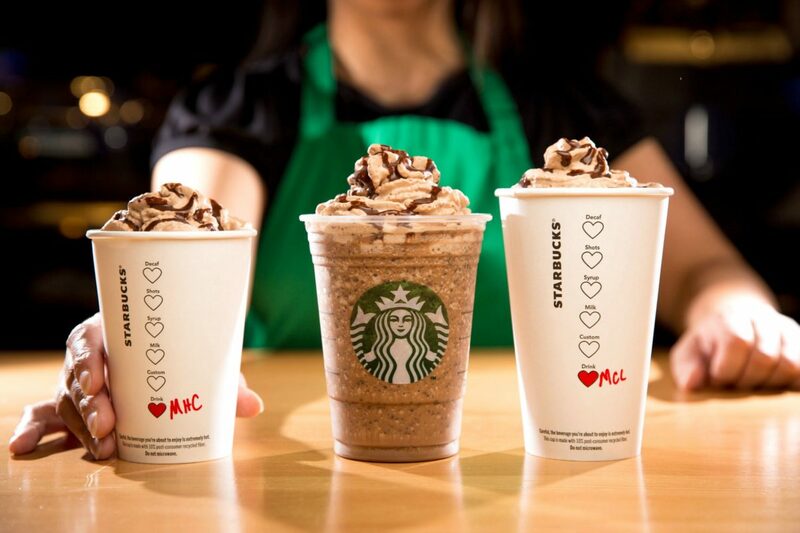 The new chocolate-inspired beverages for Valentine’s Day are as follows: Starbucks Molten Chocolate Latte, Starbucks Molten Chocolate Frappuccino and Starbucks Molten Hot Chocolate. These beverages will be available at participating Starbucks stores in U.S. and Canada. Molten Chocolate Latte: Chocolaty chips are melted into espresso and topped with steamed milk combined with bittersweet mocha sauce. Finished with a special mocha and espresso-infused whipped cream with an espresso mocha drizzle. Available hot and iced. Molten Chocolate Frappuccino Blended Beverage: Coffee with rich mocha sauce and chocolaty chips blended with milk and ice. Finished with a special mocha and espresso-infused whipped cream with an espresso mocha drizzle. Molten Hot Chocolate: Bittersweet mocha sauce and chocolaty chips melted into steamed milk for a smooth and creamy taste. A special mocha and espresso-infused whipped cream and espresso mocha drizzle tops off the beverage. That link won’t last forever since it’s part of the Valentine’s Day fun this year, but starting now, at least through Valentine’s Day, you can create fun Starbucks-themed gifs for friends and loved ones! Enjoy the new drinks and tell me how you like them! Big Changes Coming to My Starbucks Rewards? The Starbucks Frappuccino: Look at What Your Barista Dreamed Up! The ECCC (Emerald CIty Comicon) Inspired Frappuccinos. Boy does this thing sound like a treat! Not something that I could see myself drinking often, but I am definitely going to try the latte version. Apologies for channeling my inner attorney but shouldn’t Starbucks be using the word “chocolaty” instead of “chocolate” in the names of these drinks? I tried this today. Definitely on the less sweet side. I’d say it falls halfway between a mocha and a Chantico for richness. The chocolate didn’t seem to dissolve much into the drink, as there was a significant chocolate sludge in the bottom of my cup when finished, despite swirling it multiple times while drinking it. 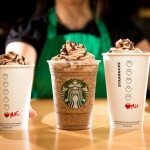 Target Starbucks was told they can make these drinks starting Feb 11th. My adult children have tried and like the Frappuccino and hot chocolate versions. My son and I have had the latte. Mine was ordered with nonfat milk but with the whip because it’s special. Sadly, it came without the whip and was brought to me at work so no fixing it was possible. I work close by so the whip would not have melted into the drink. Mochas are my go-to drink but this is not something I’d order again. Lots of chocolate at the bottom of the cup but I was able to stir it in. Maybe there are too many steps to making it and they don’t have time to get it exactly right. Seems like complicated drinks to offer for just a week. And being a store that uses stickers, all the cute little hearts get covered up. My husband and I LOVED the Frappucci o and latte! Would love to have this year round! Please make that happen!